Happy Monday! Going to start the week off right with a little giveaway. 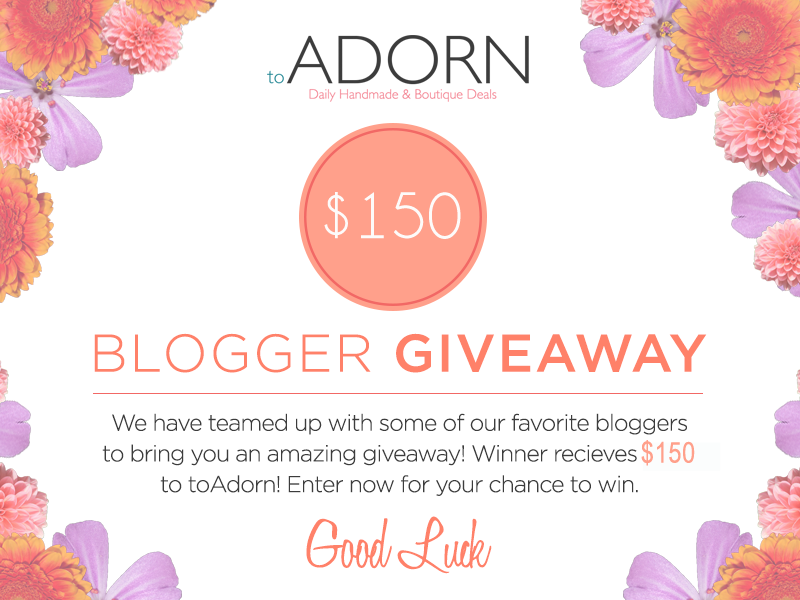 I have done a couple previous posts about toADORN here and here explaining their awesome deals and cute items! Now you have the chance to win some mullah for their site! Yay! Good luck!